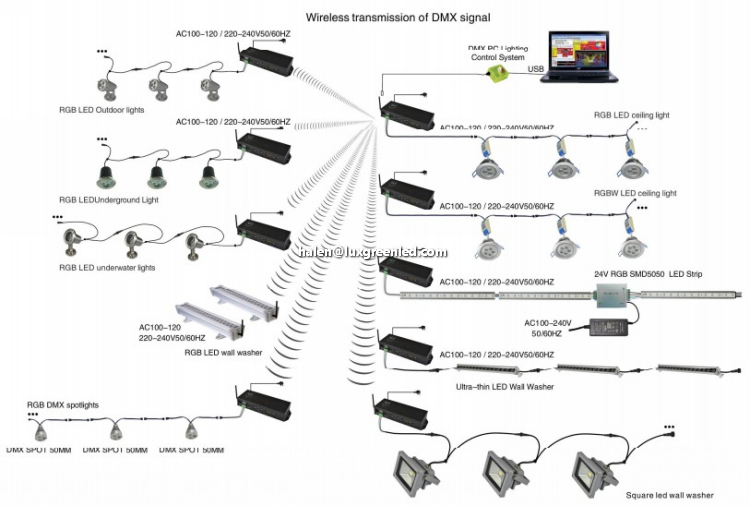 DMX512 wireless receiver/transmitter transmits standard DMX512 protocol data (generated by console ) by wireless way, which solves lighting control issues of wireless transmitting completely between console and lighting, lighting and lighting and so on, It get rid of connecting cable limited completely And also can ensure without any time delay when signal data is transmitting, signal data is real time and reliably. 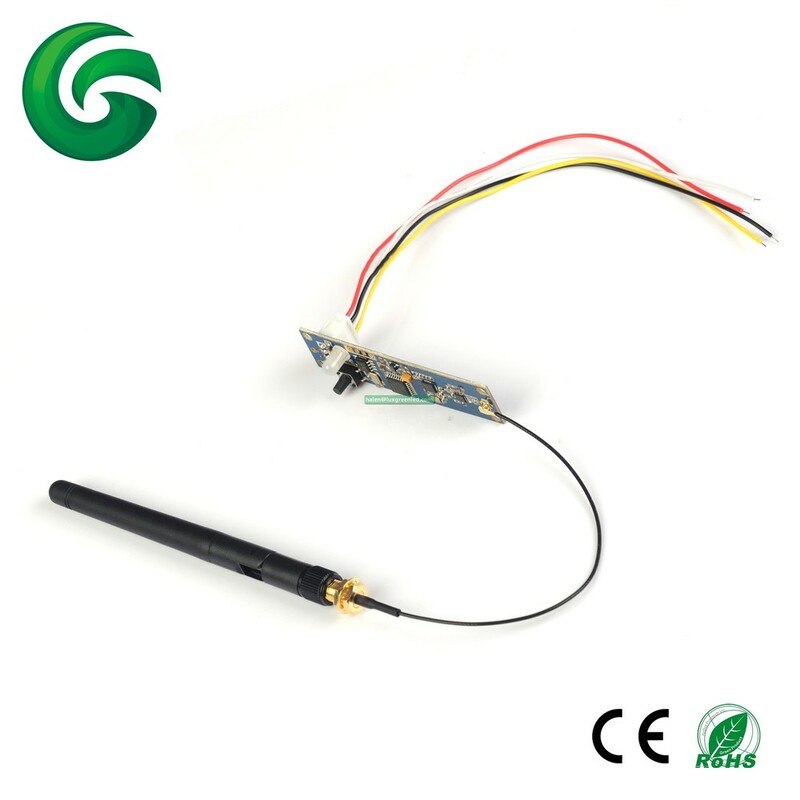 This product adopt 2.4G ISM frequency section( global opening section) without permission limited High effective GFSK modulate,communication design ; 126 channels jumping frenquecy automaticly,high anti-jamming ability. 4. 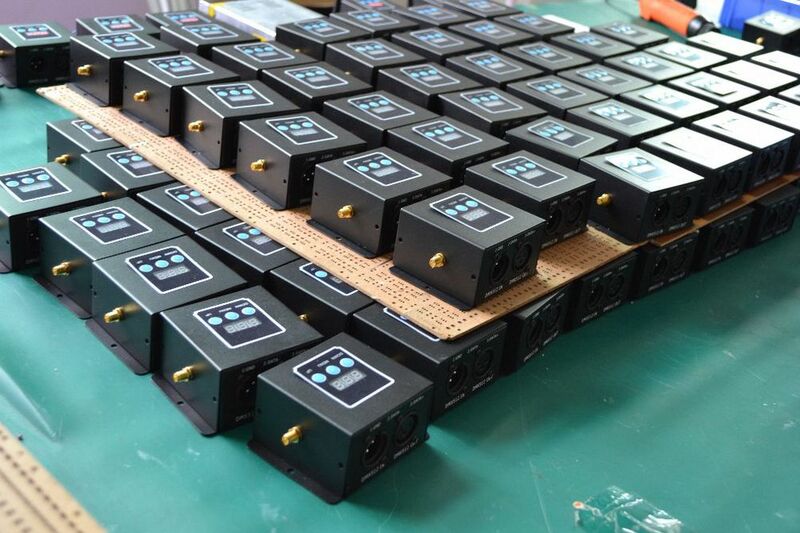 Transmitting standard DMX512 protocol data of console,also can transmitting lighting and lighting DMX512 protocol data. 6. 7 groups ID code settable,User can use 7 groups individual wireless net without any interfere each other in the same place.. Stage lighting,Disco hall Large literature performance Gymnasium lighting Temporary stage performance City lighting system TV station Conference center professional showplace Topic park Bar lighting and so on. 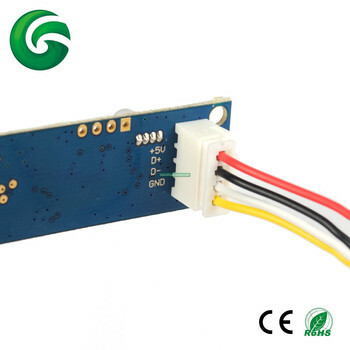 Please take off IC of RS485 port such as SN75176 if CPU series port connect with lighting to be slected on the module. Please place it apart from hi-RF circuit part. LED constant lit up:no DMX or wireless singal. ID Code- - - -“1-7” groups ID code,press ”KEY” for setting,it only can works under same ID code.of transmitter and receiver. Press “Key” button to set same ID value of transmitted board and received board., please use different ID value if you need use more than 1 group wireless net at same time in same place. The red LED flashs when transmitter transmits DMX data by no interfered frequency section, then receiver changes communicated frequency section. 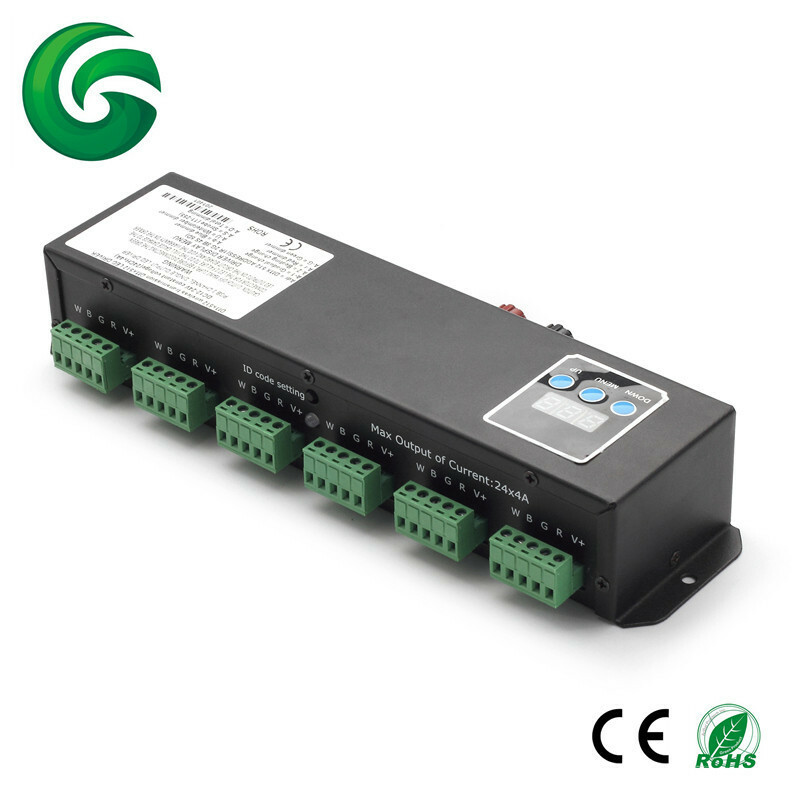 Green LED flash till received corrected same ID value, LED flash more fast once DMX data more fast. Don’t repair this R/T board by yourself, it should be returned to manufacturer to repair if any problems.